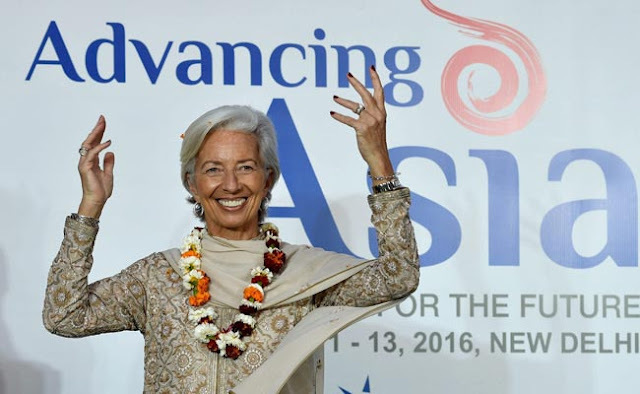 Appreciating continuing reform process in the country, IMF chief Christine Lagarde on Saturday said “India’s star shines bright” amid global economic challenges and can deliver nearly two-thirds of the worldwide growth over the next four years despite a slowing momentum. The world’s fastest-growing large economy, she said, is on the verge of having the largest and youngest-ever workforce and, in a decade, set to become the world’s most populous country. “Over the next four years, even with a slightly declining momentum, it stands to deliver nearly two-thirds of global growth,” she added.